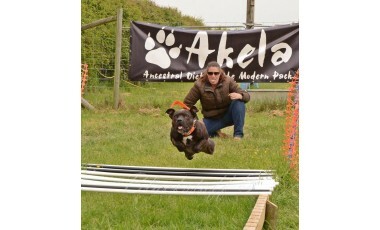 Our main offering is a range of complete wet and dry working dog foods. We also offer pet dog food, cat food & ferret food. 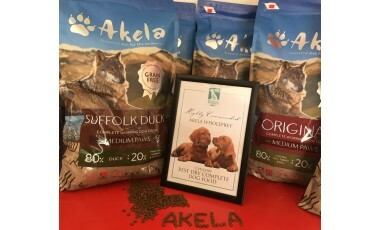 To ensure you keep all your dogs treats to the same high standard as his main meal we also offer a great range of meat and fish based chews and training treats. We deliver direct across the country (free next day delivery is available on many orders) and we are available in selected stores. The pet food market is dominated by supermarket brands offering basic foods with ingredients far from that of a natural diet. 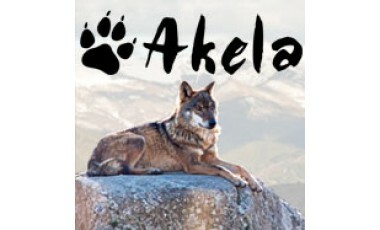 Akela provides top quality nutrition with a more affordable price tag than many other premium brands. Being fed a good diet is the starting point for everything else in life, from energy for walkies and play to generally feeling good for relaxing and snoozing. 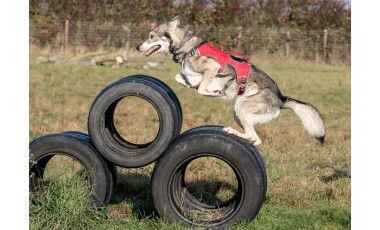 A healthy dog is a happy dog, and the less time spent at the vets is always a bonus! 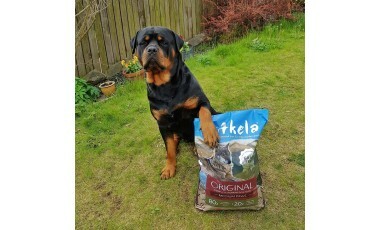 Don't be fooled by fancy packaging, flash adverts or one off recommendations - research your dogs diet (and all aspects of his care) thoroughly. Take the time to learn a little about nutrition and read labels - your dog deserves it. 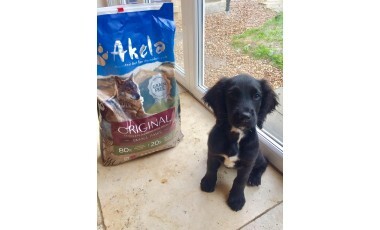 Introduced to Akela dog food by breeder of latest dog. He was already on Snall Paws, which we continued. Now over a year old and usually has the Medium Paws, but if it is out of stock, he will take the Large Paws. He is thriving on it, and now have our older dog on it too. Noticed big improvement in his digestive system since the change. Very easy ordering online from Wholeprey with quick delivery. Delighted.